You can often find me on a Friday morning, flipping pancakes. It was something we started doing earlier this year, to get Nat used to mum not walking her to school - because she still cried when I left her, but was ok when Douglas dropped her to her classroom. 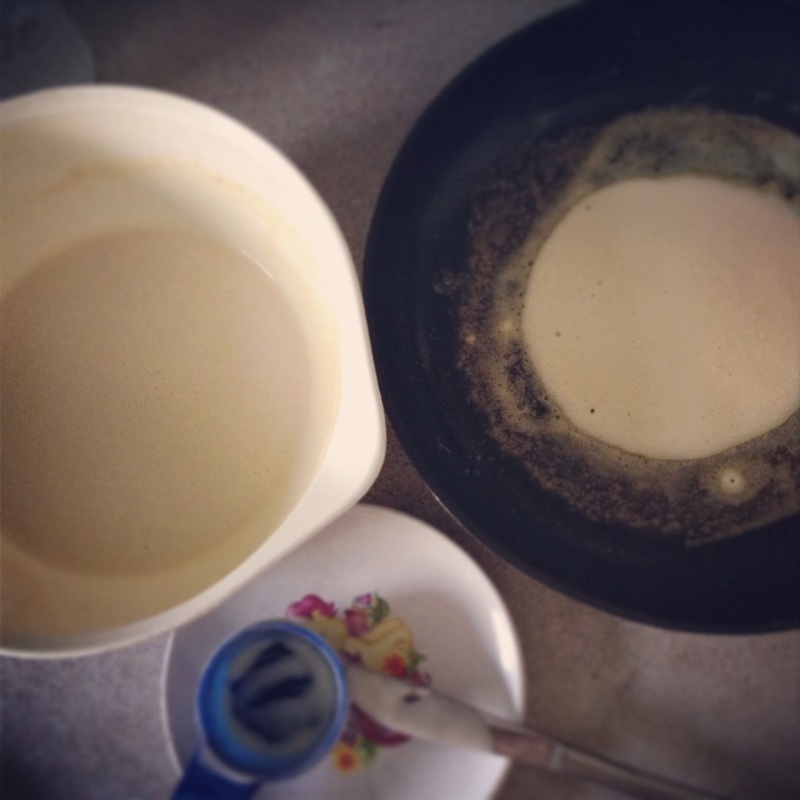 So the pancake bribery was born - pancakes for breakfast, and walk-to-school-without-mum. It's been hard over the last few months to keep doing it, and Nat was ok with that - we've even resorted to buying pancakes from the supermarket some weeks, just in case mum feeding Sophie. Now, Natalie walks to school every day, in fact she doesn't want mum to walk her! But the pancakes have stayed, because it's a nice way to add something a bit special to the week. Such a sweet tradition. I am sure they will remember this fondly for the rest of their lives.